RainForest is one of the most powerful modules designed to maxim ize the amount of oxygen available to plant roots. Used by leading American research laboratories, like Argonne Nati ona l Laboratory and Los Alamos Nati ona l Laboratory, he has achieved growth rates and the most spectacular harvest made so far. The RainForest is the perfect tool to succeed the best harvests in “Sea of Green” method to flourish effectively and without young plants transplant shock. You quickly get beautiful flowers, very compact and highly fragrant. The concept is simple and brilliant. The plants are suspended in “pots baskets” special. The rods hang in a vacuum, above the nutrient solution. A vaporizer raises the liquid and sprayed on stems that develop in record time, a network of very fine roots. Within days your cuttings are ready to be transplanted in any system of your choice, including land, and become beautiful plants. This is a powerful hydroponic module, designed for propagation. 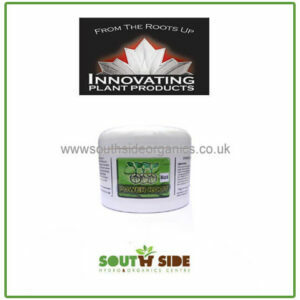 It is designed to maximise the amount of oxygen available to plant roots and thus to accelerate the rooting process.